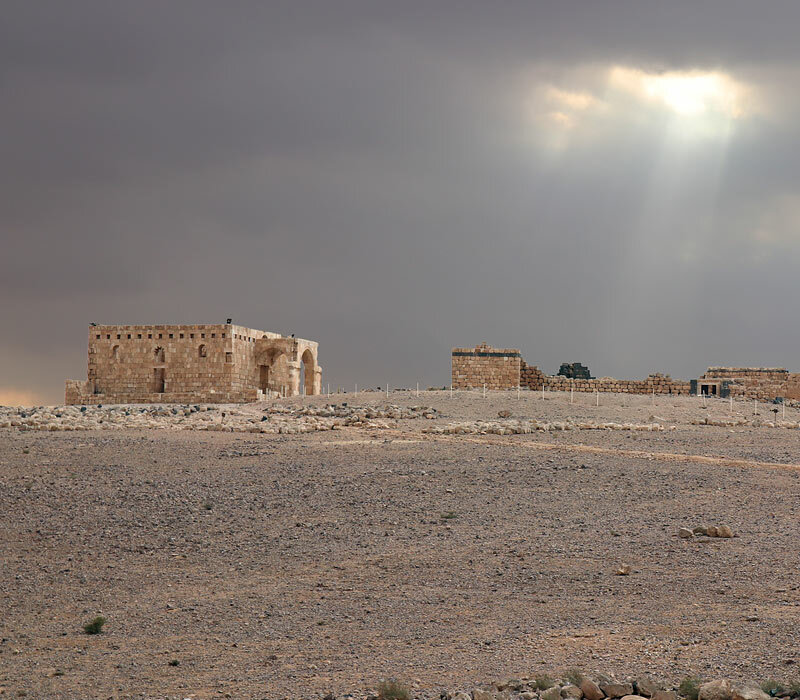 On the site of Qasr al-Hallabat there was originally a Roman fort, built up from the beginning of the 2nd century AD on a former Nabatean outpost, as part of the Limes Arabicus (the Arabian frontier). Extended in 4th century AD, the fort was abandoned and then heavily damaged by the earthquake of 551 AD. 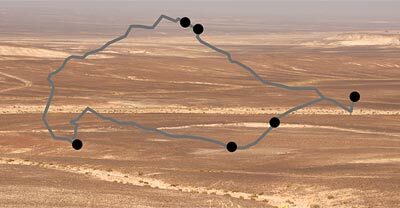 Afterwards it was transformed into a monastery and a palace by the Ghassanids, using older black basaltic rock blocks to expand the Roman remains. 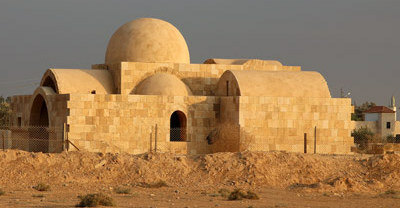 The Umayyad caliph Hisham (ruled 724-743) ordered to demolish the existing structure to transform the site into one of the largest of all Umayyad desert complexes. The main palace is constructed of black basalt and limestone and has a square floorplan (42 x 43 m) with towers at each corner. The principal structures were further enhanced with decorative mosaics depicting an assortment of animals, detailed frescoes and highly crafted stucco carvings. The Umayyad extension included a mosque, a water system with five cisterns and a large water reservoir, and a bathhouse. Situated to the west of the palace remains an enclosed structure probably used for agricultural purposes. In 749 AD the site was destructed and abandoned.